Employee at Sri Lanka’s embassy in Russia was killed! We complained to the former President Mahinda and the Foreign Ministry, but received no response. We presented the ‘death certificate’ issued by the ambassador which was forged. Mother digs up alleged Moscow murder of ex-envoy’s Attanagalla aid. I had doubts about the death from the beginning. We tried to inspect the body, but we were not allowed to. We noticed severe bruises on the body. Family kept quiet because they were aware of Weeratunga’s close ties to the former leader. Noel telling him of his involvement in business with the ambassador and an aircraft transaction, had a joint account with the former ambassador. There were a few bruises on my son’s neck, We tried to remove the shirt and check, but Mr Weeratunga intervened and stopped it. The elderly mother of a former employee at Sri Lanka’s embassy in Russia alleged yesterday, her son had been murdered. Josephine Nona, 71, told the Sunday Times that her son, Noel Ranaweera, first worked at the Club Lanka restaurant owned by former ambassador Udayanga Weeratunga, in the Ukrainian capital Kiev. Weeratunga is now deemed missing and cannot be contacted for comment. Noel Ranaweera had been recruited by Weeratunga as his translator and personal assistant at the Moscow mission in 2008, after a stint at the restaurant. On Thursday, lawyers appearing for the mother got an order from the Attanagalla Magistrate, M.Y.M. Irshadeen, to exhume Noel Ranaweera’s body. A postmortem is planned. 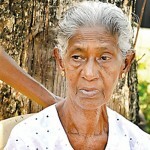 Josephine Nona said that on June 11, last year, she received a telephone call from Weeratunga that her son had died in an accident. 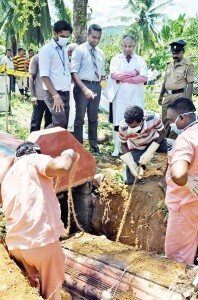 “Three days later, we were told that the body will be brought to Sri Lanka and we went to the Katunayake Airport. We were not shown the body at the airport and were told to come to the Jayaratne funeral undertakers in Colombo,’’ she recalled. Noel Ranaweera’s remains were taken to the ancestral home in Welikadamulla, Attanagalla. “Mr Weeratunga was present at the funeral, and was accompanied by about 30 people we believe to be Presidential Security officers,’’ Josephine Nona remembers. During the funeral family members were not allowed to speak to the media. Provincial correspondents who visited the home would not comment. 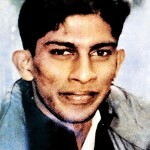 It was after the funeral, on June 18, that a ‘death certificate’ signed by Weeratunga, was received, according to the brother, Harishchandra Ranaweera, a police constable. “I had doubts about the death from the beginning. We tried to inspect the body, but we were not allowed to. We noticed severe bruises on the body,’’ he said. “We complained to the former President and the Foreign Ministry, but received no response. The Foreign Ministry said they had not been informed about the death. Harishchandra Ranaweera recalls his brother Noel telling him of his involvement in business with the ambassador and an aircraft transaction. He had claimed he had a joint account with the former ambassador. Sister Indrani Ranaweera also remains suspicious. But the family kept quiet because they were aware of Weeratunga’s close ties to the former leaders. But their relatives urged them to pursue the matter after the regime was ousted at the elections. Noel Ranaweera had left for Russia at the age of 21 for further studies. He had met with the son of the State minister of Public Administration, C.B. Ratnayake. He had been introduced to Weeratunga later. The family’s efforts to seek answers began with the Foreign Employment Bureau on March 15, but were told he had not sought employment overseas through the bureau. On March 22, Josephine Nona filed a report with the Nittambuwa Police. Having noticed police inactivity she then went to court, represented by lawyers Upali Kumarasinghe and Prasanna Niranjan.